I was born in Berkeley and lived in Oakland, Richmond, and a variety of other cities while I was in college. As a kid growing up in the East Bay, I had the privilege of experiencing some of the region’s best parks embedded in urban areas, such as Tilden Park, Lake Temescal, and the Berkeley Marina (Cesar Chavez Park). I attended City of Berkeley Summer Camps and later the Berkeley Day Camp. Like thousands of other Berkeley teenagers, once I outgrew camp as an attendee, I got my first job as a City of Berkeley Camp Counselor at the age of 14 through the Youth Employment Program. This experience planted the early seeds of park stewardship, conservation, resource management, and a love for urban parks. At the time, I was ecstatic that I could get paid to do what I already enjoyed doing, which was spending time in some of my favorite parks. Ultimately, this led to an undergraduate and graduate degree in Geography with an emphasis on Urban Planning. My current role as an Urban Fellow for the National Park Service (NPS) allows me to channel my enthusiasm for our urban parks through a strategic, national program called the Urban Agenda. The Urban Agenda aims to bring greater relevancy to—and foster innovative collaborations with—members of the community living in the vicinity of our urban national parks, such as Rosie the Riveter/World War II National Historical Park in Richmond. There are 10 strategically placed Urban Fellows, assigned to 10 model cities throughout the United States. In addition to national support from the Stewardship Institute in Vermont, I have been supported here in the Bay Area by the Institute at the Golden Gate (a Parks Conservancy program in partnership with the NPS). The Institute at the Golden Gate hosted the Fellows’ onboarding experience at the Green Gulch Zen Center in Marin County, where we developed trust and camaraderie in our cohort and discussed our vision for the two-year assignment. During my Fellowship, my primary focus has been on the Richmond Wellness Trail, envisioned to connect Kaiser Permanente Medical Center in downtown Richmond with the Rosie the Riveter Visitor Center and San Francisco Bay Trail—one of Richmond’s finest assets. I’m also involved with the planning of the next Open Space Conference, which will take place in May in Richmond. After last year’s conference, I challenged the Bay Area Open Space Council to find ways to involve local, diverse youth in a meaningful way. As a result, I’m working with the Open Space Council to shape the Leadership Development Program for young adults. This program will be a “micro internship” that grants local youth the opportunity to attend the conference for free, meet with mentors, and spend a day with mentors at their job sites. In my work, the staff at the Institute at the Golden Gate has supported me with strategic planning, technical expertise, facilitation guidance, and a partner perspective different from that of the NPS. The proximity of Richmond to the Institute has allowed us to collaborate and work closely together. 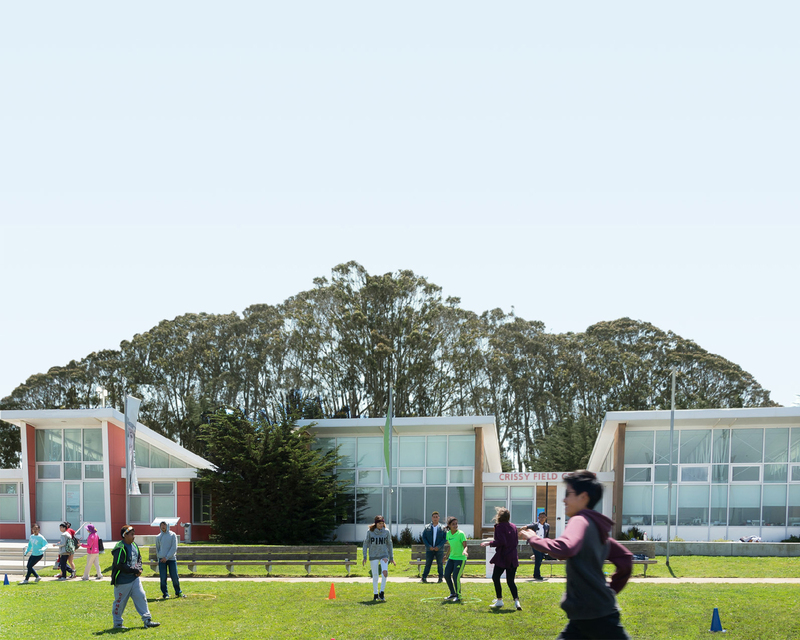 Furthermore, the Institute’s accomplishments in the Golden Gate National Recreation Area—through progressive and innovative programs such as Healthy Parks Healthy People: Bay Area—serve as models for collaboration and community engagement. I’m excited to continue the momentum in the region and to continue working with the Institute at the Golden Gate to accomplish the goals of the NPS Urban Agenda and the City of Richmond.